After a run in New York and a short UK regional tour, Sean Mathias‘ much-anticipated production of Harold Pinter‘s 1975 play No Man’s Land officially opened in the West End last night (20 September 2016). 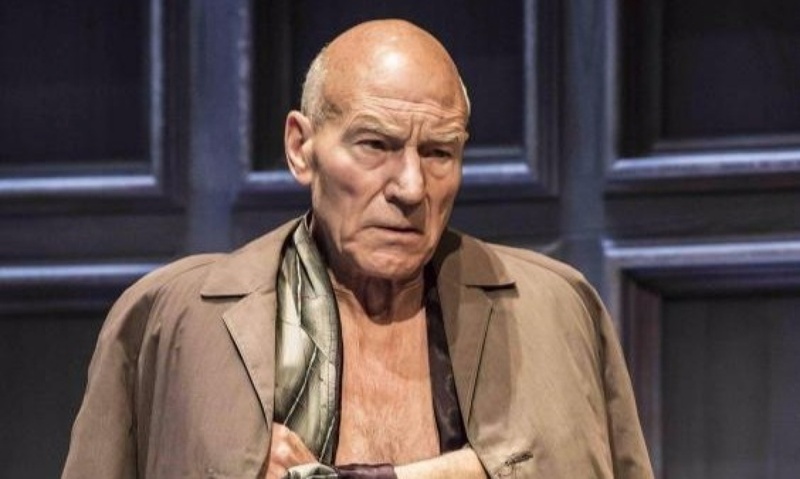 The production reunites Mathias with his two leading men, Ian McKellen and Patrick Stewart, who starred in his award-winning 2009 production of Beckett’s Waiting for Godot at the Theatre Royal Haymarket. (In New York, the team ran the two plays in repertory.) 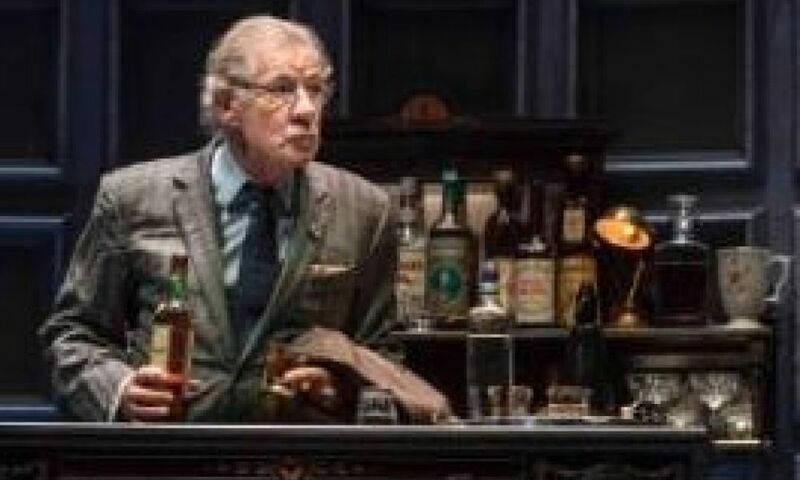 McKellen and Stewart play Spooner and Briggs, two ageing writers who meet in a Hampstead pub and continue their copious drinking in Hirst’s stately home nearby until the arrival of two sinister younger men, Briggs and Foster, played by Owen Teale and Damien Molony. So what happens when two knights of the realm at the top of their game spark off one another in a modern classic? 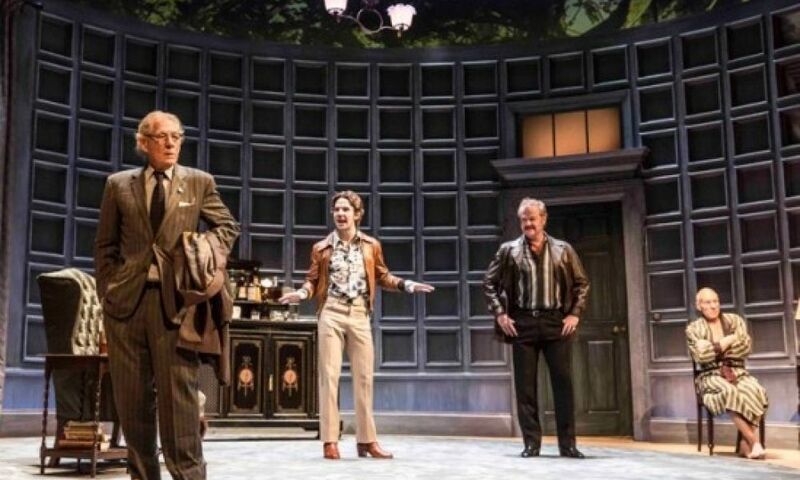 Critics have unanimously revelled in the match-up, with many parallels drawn with the play’s original stars, Ralph Richardson and John Gielgud. Here’s a round-up of some of the overnight judgements in the national press. No Man’s Land is booking at the West End’s Wyndham’s Theatre until 17 December 2016. You can buy tickets through My Theatre Mates here. 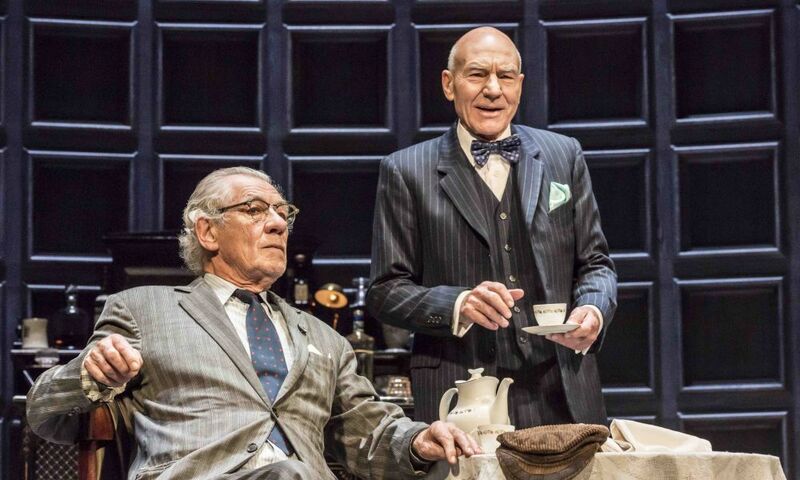 Michael Billington: When Ian McKellen and Patrick Stewart joined forces in Waiting For Godot in 2009, I felt they sentimentalised Beckett’s play by lending it a cosy charm. Now they are together again in Harold Pinter’s 1975 work – under the same director, Sean Mathias – and the result is a faithful and loving production that captures both the essential bleakness and paradoxical comedy of this enigmatic masterwork… What is unassailable is that four excellent actors, under Mathias’s direction, exquisitely capture the fluctuations of mood of this remarkable play. Pinter’s No Man’s Land is both desolate and funny and conveys, without peddling any message, the never-ending contrast between the exuberance of memory and the imminence of extinction. 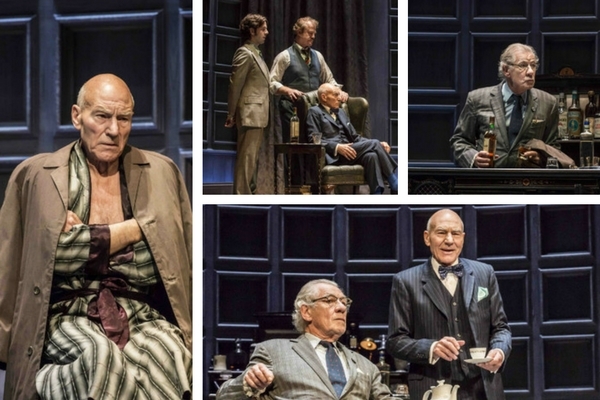 Ian Shuttleworth: I was still a child when the premiere production of No Man’s Land with Ralph Richardson and John Gielgud transferred to this theatre from the National in 1975; I do, however, remember Pinter himself appearing as Hirst opposite Paul Eddington in 1992-93. That production was one to tell your grandchildren about; this one is its equal. 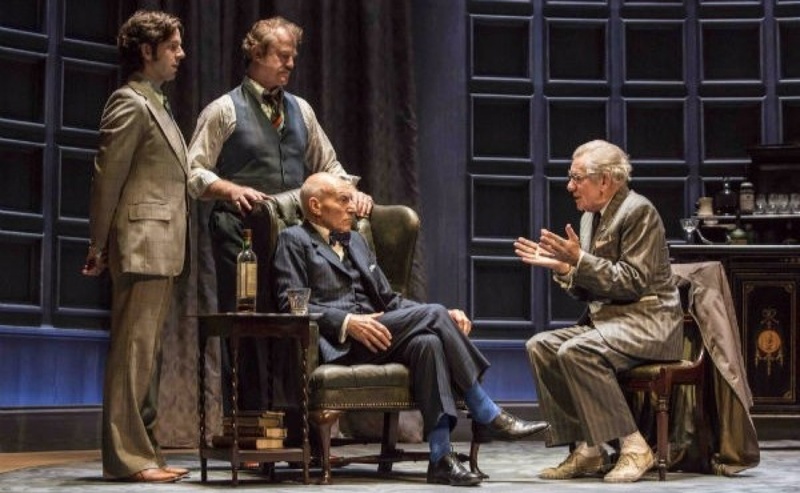 Paul Taylor: Mathias’s staging manages to be the funniest account of the play I have seen without underselling its scariness, mystery or bleak vision of the twilight zone between life and death that is old age… McKellen delivers a wonderfully unsentimentalised portrait of Spooner… Stewart’s performance, ranging between imperiousness and terrified bewilderment, makes you feel that it’s high time he played King Lear on stage. 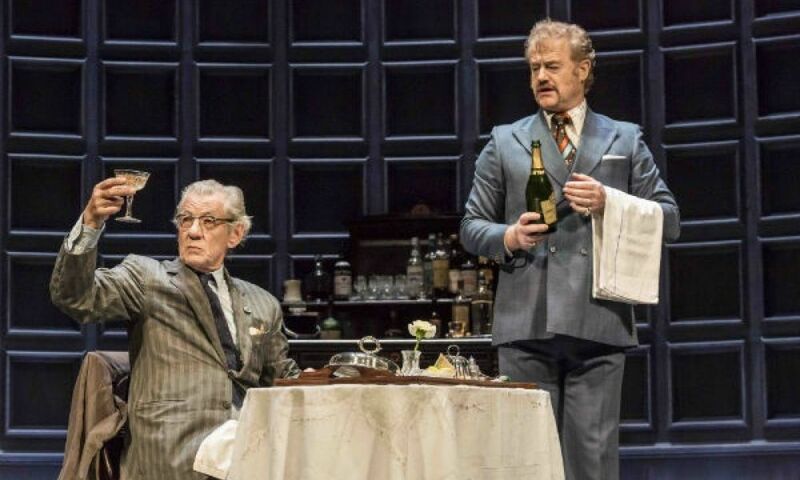 Mark Shenton: Pinter’s classic returns to its original West End home in a stylish and spellbinding production… [McKellen and Stewart] are lions of the stage and they roar in this alternately icily restrained and ferocious account of human beings hurtling towards the void while anaesthetising themselves with generous helpings of alcohol. Tony Peters: Take two giants of British acting, a Nobel Prize-winning playwright, plus a celebrated director – and you get a lot of expectation in one auditorium. Happily, this piece of event theatre lives up to expectations. 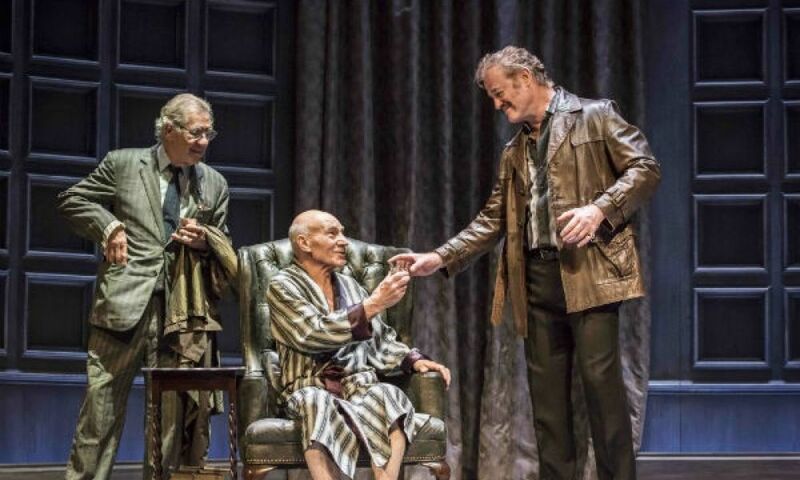 Sean Mathias’ production starring Ian McKellen and Patrick Stewart comes to London from New York where it received rave reviews, and it doesn’t disappoint on any level. Marianka Swain: The whole quartet, but particularly the two knights, excel in these layered verbal power games…. [The play] is suffused with melancholy, a ghost story for the long, wintry nights ahead, and a production showcasing a superlative pair of actors that will long echo in the mind. Unmissable.